Register here to let us know you'll be dropping by! Register here to help out! Join here to help out! 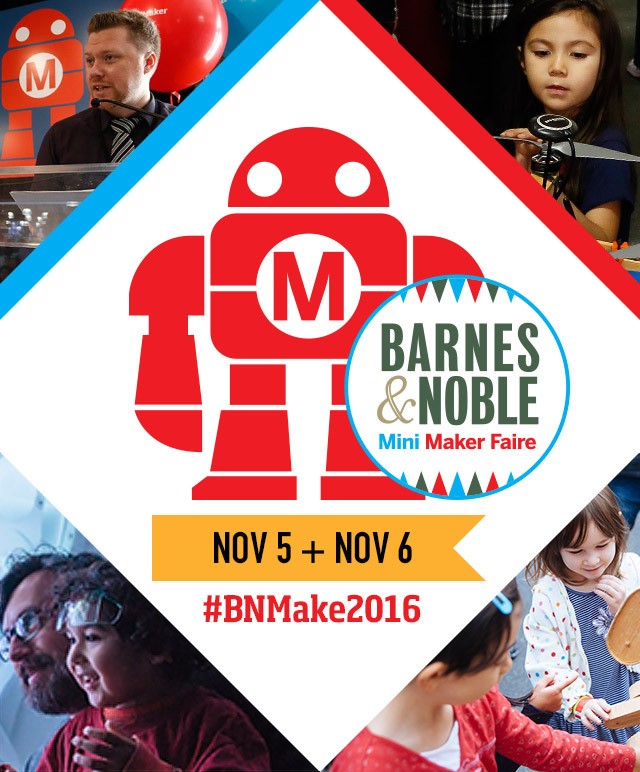 2nd Annual Barnes & Noble Mini Maker Faire! The Mini Maker Faire at Barnes & Noble brings together tech enthusiasts, crafters, educators, engineers, science club members, students, entrepreneurs, hobbyists and Makers of all kinds to learn from each other, get craft ideas and science fair project ideas, hear the experts, and work on projects. Join Cyberia once again for Meet the Makers, and meet local members of your community interested in making all kinds of things!